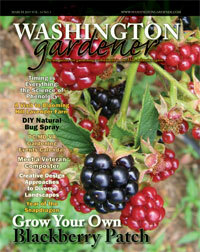 For our January 2019 Washington Gardener MagazineReader Contest, Washington Gardener is giving away two passes to either of the Washington Gardener Seed Exchanges (prize value $40). 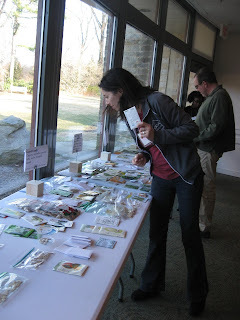 The 14th Annual Washington Gardener Seed Exchanges, hosted by Washington Gardener Magazine, take place on January 26, 2019, at the Brookside Gardens in Wheaton, MD, and on February 2, 2019, at Green Spring Gardens in Fairfax, VA. You have a choice of which side of the DC Beltway you want to visit! Seed Exchange attendees trade seeds, exchange planting tips, hear expert speakers, and collect goody bags full of gardening treats. 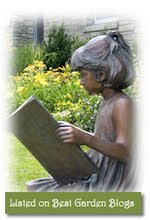 The event also includes such “green” features as the garden book and catalog swap. Everyone will leave with a bag full of seeds and loads of gardening inspiration for the upcoming growing season! We will have a “best nametag” contest, so get crafty! See the full event details at this page of this issue. Seed Exchange attendees are encouraged to bring their used or new garden books and seed catalogs to swap and share at this year’s event. We also ask you to bring your own water bottle or reusable mug and a home-made nametag. To enter to win the Seed Exchange Passes, send an email to WashingtonGardener@rcn.com by 5:00pm on Thursday, January 24, with “Seed Swap” in the subject line and in the body of the email. Tell us what you will be growing from seed in your garden this year. Please also include your full name and mailing address. The pass winners will be announced and notified on Friday, January 25.